Through Housing New York, the City has launched new programs and partnerships to reach more of New York City’s seniors, homeless, people with disabilities, and others in need of supportive services. These special needs populations often face overwhelming economic and health-related challenges, including the struggle to access safe and affordable housing. By teaming up with nonprofit and social services organizations, HDC is working to create opportunities for those New Yorkers who are most in need. 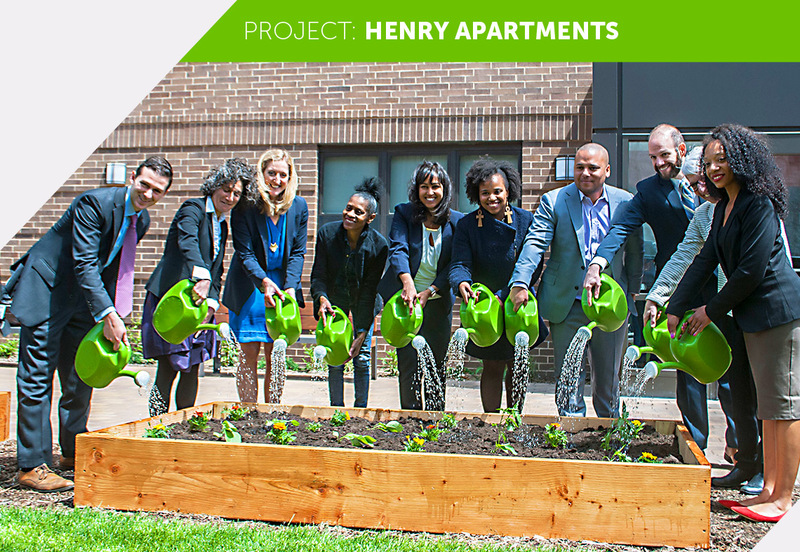 Located in the Ocean Hill neighborhood of Brooklyn, the Henry Apartments development transforms a combination of underused City and privately-owned land into two buildings of safe and secure affordable housing, with more than half of the units reserved for formerly homeless individuals and families who will have access to a wide-range of supportive services provided by Services for the Underserved (SUS). 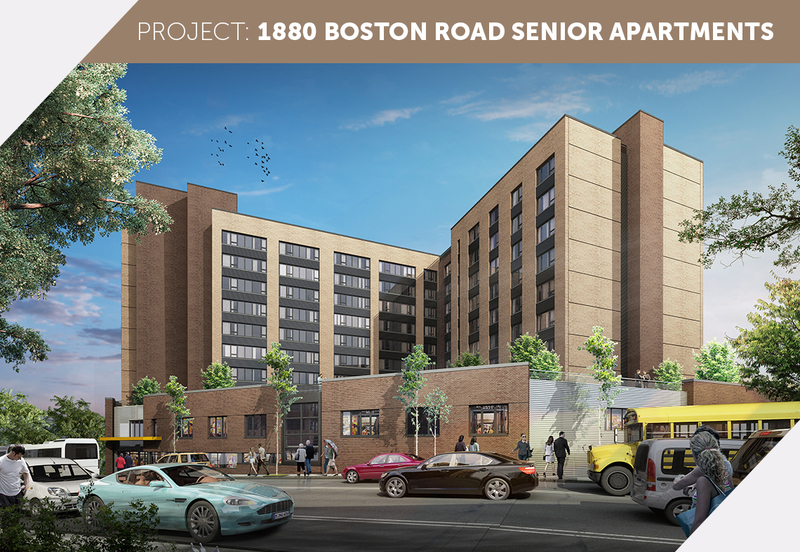 In the West Farms neighborhood of the Bronx, 1880 Boston Road Senior Apartments is being constructed atop a health and wellness center leased and operated by United Cerebral Palsy Association of New York State. This project will provide affordable senior housing and a full slate of health and social services provided by the Hebrew Home at Riverdale.